Editor’s note: This week’s setup features a gentleman who cannot disclose his real name. For the purposes of this interview, we’ll refer to him as Chelsea Stats after his website. I am Chelsea Stats — a web developer for a government agency that I am not allowed talk about. I essentially make and maintain a bunch of external and internal applications from contacts to bookings to basic WordPress micro-sites. I run my own web design business in my spare time, but mostly I focus on my website and Twitter account, which just recently ticked over 150,000 followers. Which is just insane. I have a mid-2011 Mac Mini with maxed out RAM (8GB). 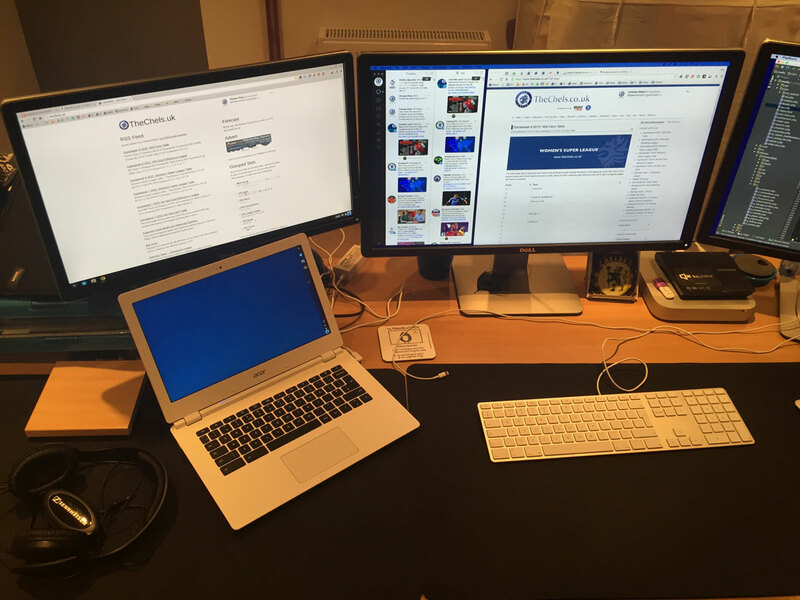 It runs two 27-inch Dell P2714H widescreen monitors. I have another 21-inch Dell P2714H connected to a 13-inch Acer Chromebook. The Mac uses an external Samsung DVD drive, a Seagate 1TB drive as my Time Machine, Magic Mouse on a Mobee magic charger, a D-link USB hub, and a standard Apple numerical keyboard. I have two Perixx DX 1000XXL gaming mouse pads as I like the non-slip feel. 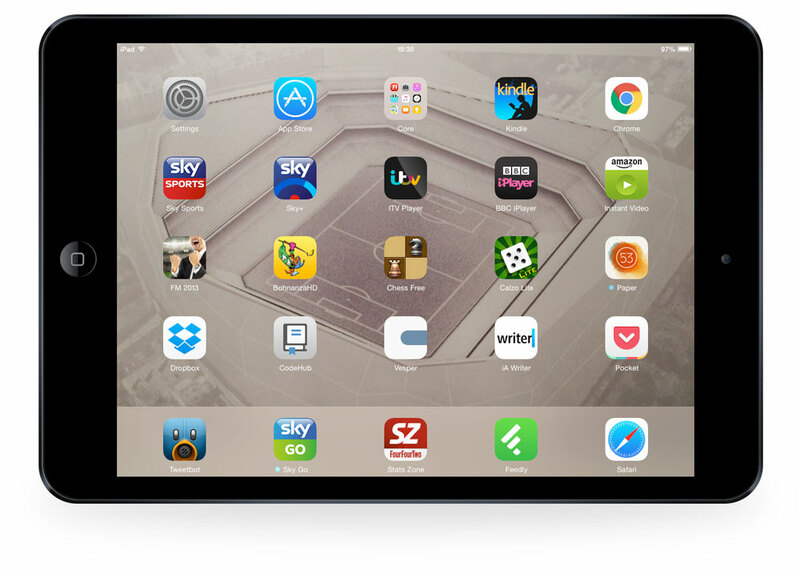 The iPhone 6 and an original iPad Mini both sit on an e-kit tablet stand on top of a PURE DAB radio that gets used on Saturday afternoons during the football season. Everything sits on a desk that I picked up from eBay for around £40 (around $65) 5 years ago. A huge 1.8 metres (71 inches) and a total 223cm (88 inches) with the drawers included. 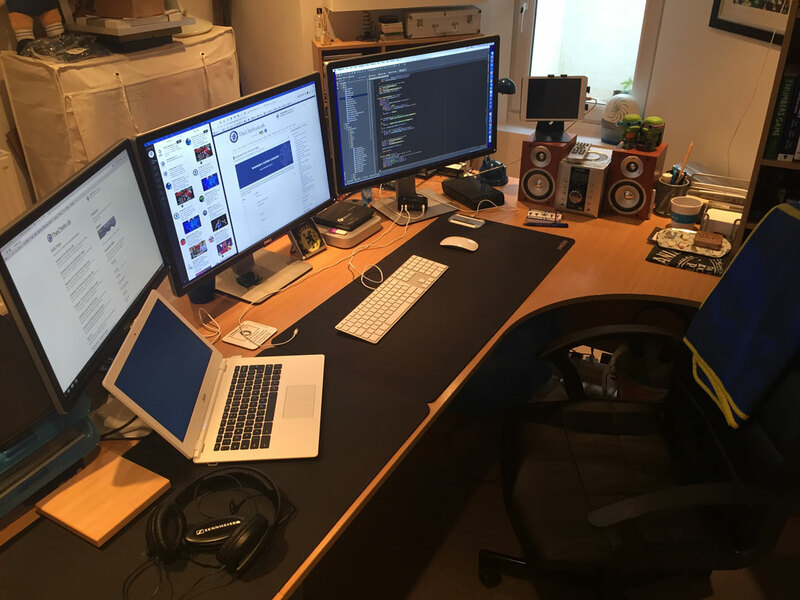 My setup has built up over time and started on a tight budget whilst providing a pretty impressive office space. My wallpaper is actually just a solid colour dark blue, basically because I rarely ever see it and want it to be as distraction-free as possible. I live in Tweetbot and Chrome split on screen 1 and phpStorm on screen 2. I use Desktops for other apps and will almost certainly have iTunes fullscreen on one, Github for Mac, Slack, IA Writer, Pixelmator, and Excel open too. 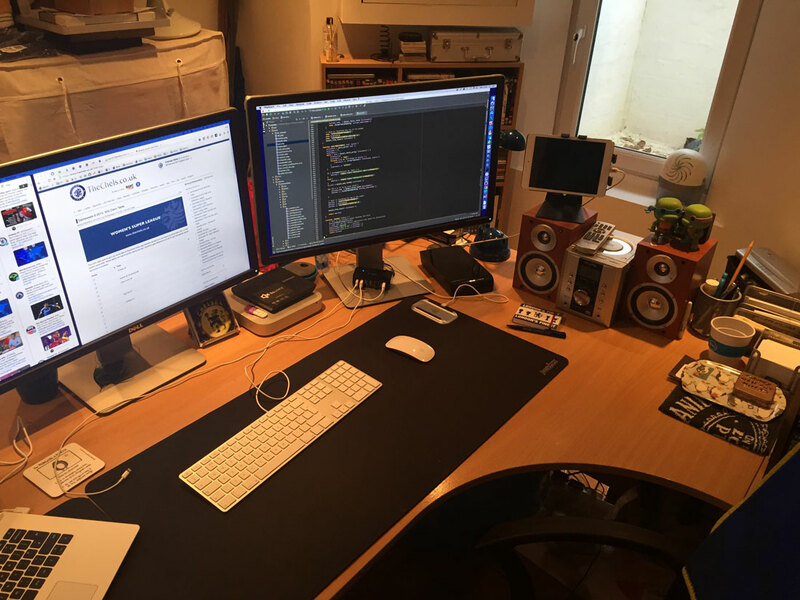 My entire setup is focused on writing code and publishing content. The Chromebook is pretty much default. It’s a brilliant bit of kit and the boot speed is a major plus. The only thing of note is I have a plugin to cycle through Chrome tabs so I can keep up to date with league tables, scores, results, and football news whilst having my hands free for the Mac. I’m pretty content with my setup for now, but my Mac Mini seems to be feeling its age and will be the next thing to be replaced, probably for a new top-spec Mac Mini or a Macbook Pro and dock. I can’t justify a new iPad yet, but the prospect of multi-tasking is appealing and won’t be supported on my mini. Editor’s note: You can find Chelsea Stat’s iPhone wallpaper here. 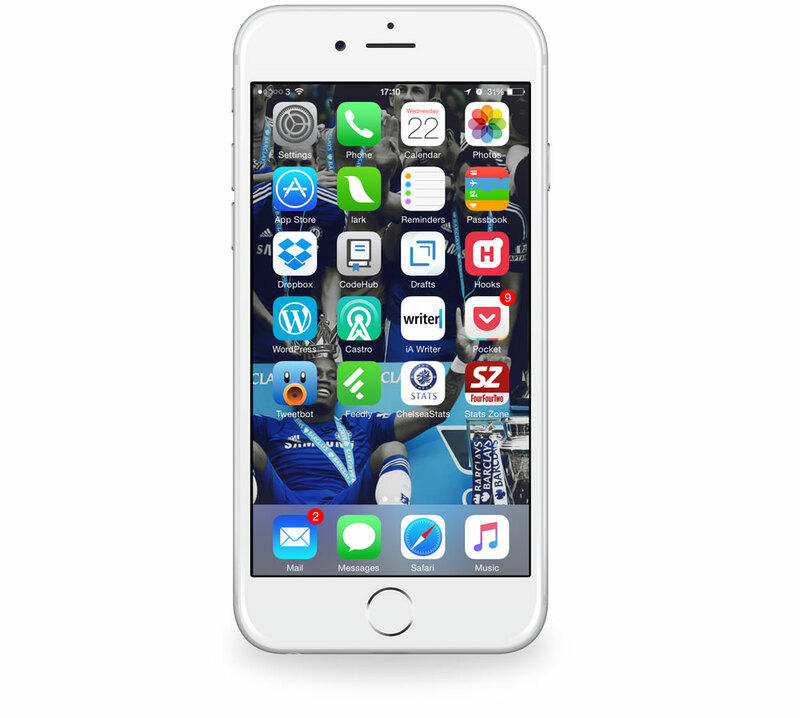 I have the silver iPhone 6 64GB. Similar to my Mac, I’m on Tweetbot a lot. I have Castro for listening to podcasts, and Feedly for keeping up with news in football and development. Stats Zone is a great app from FourFourTwo with detailed player and team statistics of the major leagues in Europe. I use the default Apple apps for calendar, reminders, and mail. I’ve tried a bunch of other mail apps but found they all struggled with my iCloud aliases. Although I think the Twitter app has improved a great deal recently, I am a Tweetbot fanboy — I even own the t-shirt. I have the original iPad mini. 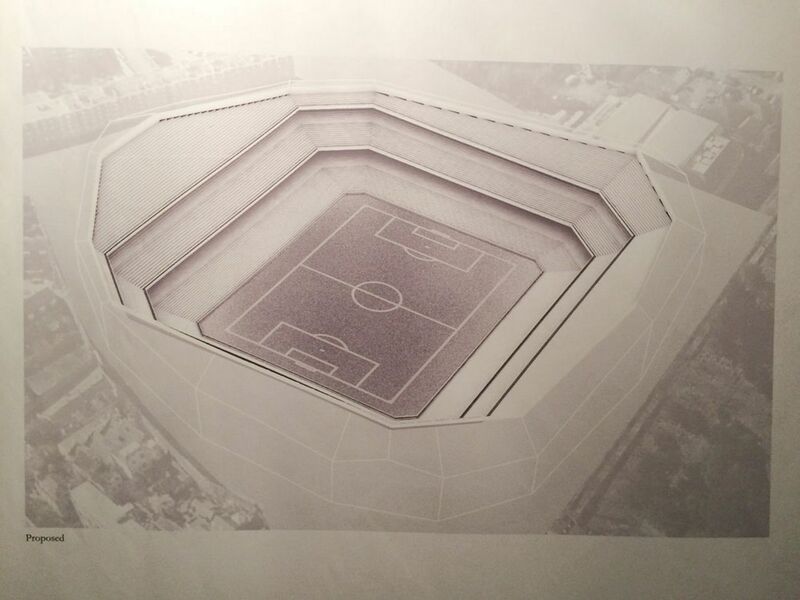 My wallpaper is one of the development sketches for the new Stamford Bridge. It was widely published in the UK Press, but a copy of this one is available here. It is basically just used as an extra screen for watching sports since I’ve gotten the iPhone 6 and the Chromebook. Mostly, I use Sky Go, which gives me access to watch sports as part of my TV subscription. I also have Amazon Prime and watch a few movies on the iPad whilst I’m working. Occasionally, I have a game of Chess or Bohnanza — a bean trading game. Again, it’s Tweetbot for the same reasons as the iPhone.